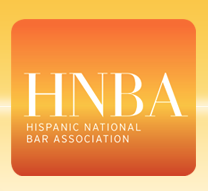 The Hispanic National Bar Association invites interested Latina/o students to participate in the Youth Law Symposium (YLS) on August 25, 2012, at Seattle University School of Law. There are 20 spots available to law students, so space is limited! The YLS will feature speakers who will share information on private and public sector legal careers, financial aid, and specific practice areas (including intellectual property). Symposium attendees are also invited to attend a wonderful Community Connections event celebrating the work of New Futures, a King County non-profit Latino organization that provides educational support and services to parents and children at four low-income apartment complexes. Logistics: The Symposium is free for students. Free bus transportation to and from the event will be available at sites TBD. TeamChild, at 425.293.0657 or at nicole.mcgrath@teamchild.org.